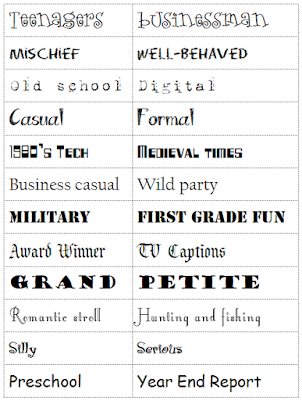 Sometimes it can be difficult to choose the right font to present a message. 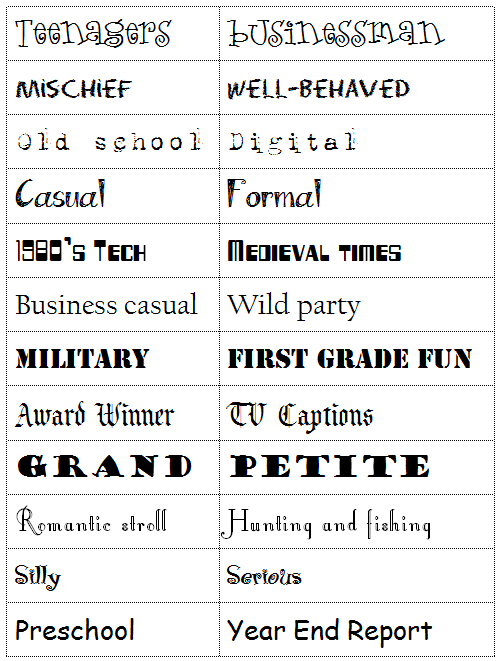 The voice of both the font and the message need to complement one another for the message to be clear and without ambiguity. Burger King (BK) and McDonald's (McD) would both like to sell cheeseburgers and other assorted fast food items. Their respective websites have very different grid layouts. 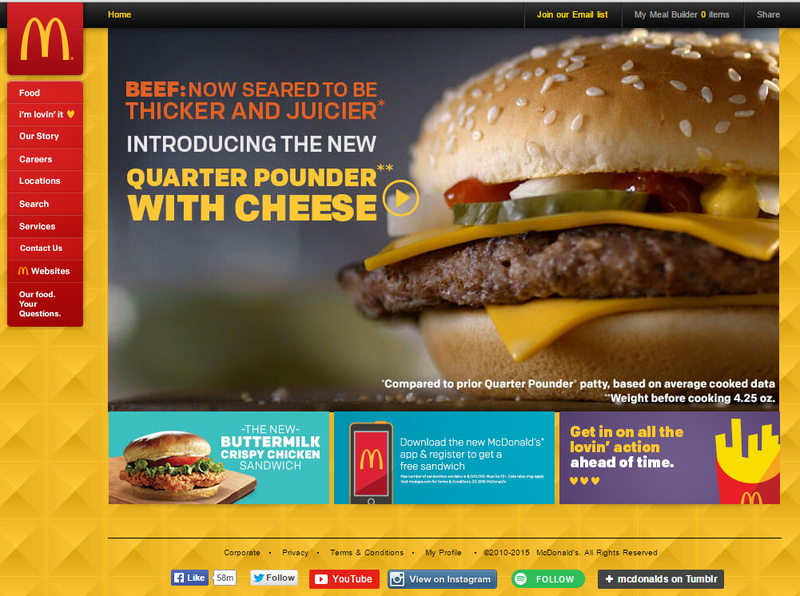 McD follows a more traditional web page grid: navigation at left, large content area at right (in this case a static image of a cheeseburger), account information at top right, secondary promotions at bottom. There is a defined alley between the navigation and the rest of the content, setting it apart from the rest of the material. Social media and other contact information appear at the bottom of this relatively short web page. 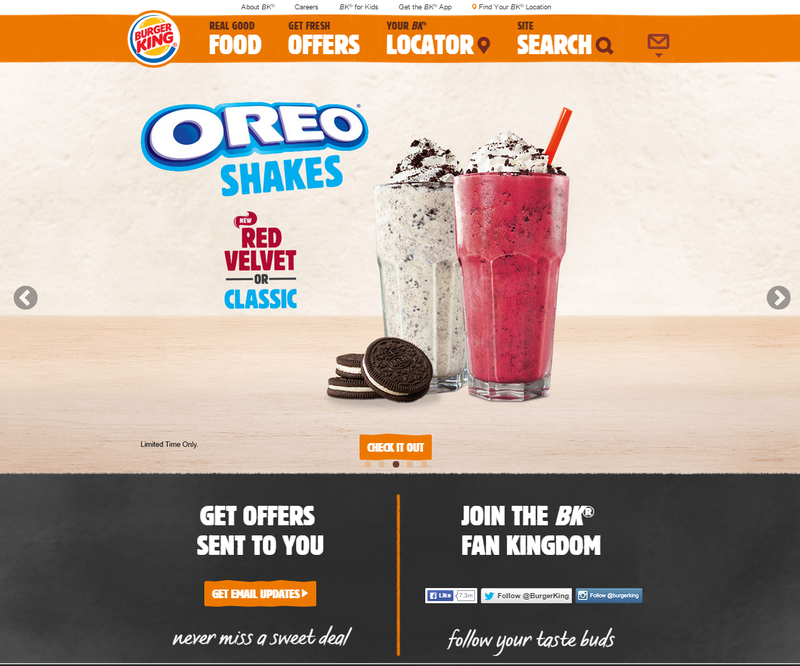 BK has an automatic carousel of images highlight multiple products situated below a two tiered informational links. Below the carousel is a large number of secondary promotions. A very detailed navigation and social media connections appear at the very bottom of this long page. McD is promoting their best product, while BK is showing they are more than just burgers. 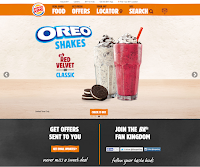 While the amount of content on the McD site is less than that of BK, the background texture and harsh color choices make the page feel full and almost too busy. The muted colors and solid textures make BK appear open, clean, light, and modern.